Download The Creation Trail Mobile App for free today! ​The Creation Trail is a fun way for your kids to learn about science from the biblical worldview (starting with Genesis 1:1) in the context of family discipleship and the local church. Your entire family will be begging to learn more about God and His creation. The Creation Trail helps families make science easy to teach, isn’t intimidating, and can fit into your schedule whether you have lots of time or just a little. We are here to help you with engaging resources, interactive events, and personalized educational instruction. 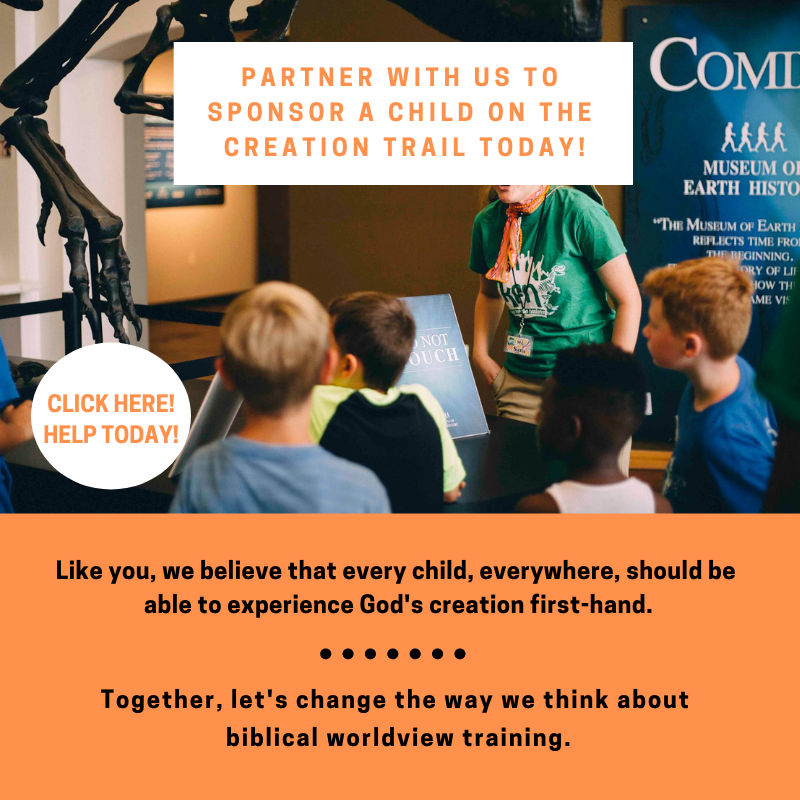 The Creation Trail is a great resource to help parents disciple their children in the way of the Lord while enjoying God's creation first-hand. The Creation Trail is based upon family discipleship and the local church. Each family is considered a "unit" and churches can elect to become "creation fellowships" for multiple units.